"Music is a way into the heart, into the soul, that is unique in our humanity". Tired of being uninspired? Your faith should be the fuel that inspires you. We can help feed it. "OPENINGS" brings you intimate concert encounters with the music and faith stories of Catholic musicians from around the world. Wherever we find them these are artists connected to the firelight of their faith. Be Open to sharing your Faith. Robert Galea is currently studying for the priesthood in Melbourne, Australia after beginning seminary formation in Malta in 2003, his home country. Robert has been dubbed the “The Singing Seminarian” by local and international press. He is a singer and songwriter with a comparable international fan base. Apart from a series of recordings and CD releases, Robert has also written a number of songs for various campaigns and international conferences. After being selected to sing in the international version of the official World Youth Day song “Receive the Power” along with pop idol Guy Sebastian and acclaimed soprano Amelia Farrugia amongst others, Galea entered the realm of the cast of musicians having performed in some key events before an estimated 500,000 pilgrims in Sydney. Now, just after the release of his latest album “What a Day” (2008), following the success of his debut album “Closer” (2006), Robert's passion is to draw others to the heart of God. He believes that music is an important instrument in helping God's people understand the need for intimacy with their God. In all this, whilst greatly appreciating his gift of music, Robert recognises that before everything he is a follower of Christ, a seminarian and only then, a musician. Father Eugene O’Hagan of the Parish of Ballyclare and Ballygowan: Church of The Sacred Heart and Church of The Holy Family. Diocese of Down and Connor. The Priests’ careers overlapped once again as they all eventually returned to Ireland, where they began their work in various special ministries. Each now lives the life of a full time Parish Priest, tending the spiritual needs of their parishioners and official duties at all church services. Matt Maher was born and grew up in St. Johns Newfoundland, moving to Arizona at age 18, when his parent’s split up. In Arizona he began attending Mass with his cousin, who introduced him to LifeTeen. Almost 20 years later, Matt continues his involvement with LifeTeen and is now their “contributing” artist. Not sure what that means, I’d say, if you listen to most of the music sang at a LifeTeen Mass, you’d know. He also gets around quite a bit - if you’re in the U.S., you’d probably see him at pretty much every Catholic event across the nation. is recognized as one of the most dynamic and effective communicators with Christian youth in the country. A singer, songwriter and storyteller, Steve creates relevant, dynamic music for liturgy and listening, proclaiming that through Christ we have the power to carry out God’s work. 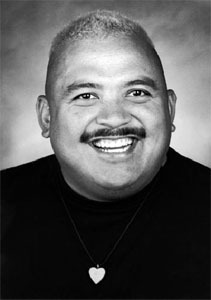 Steve’s unique blend of laughter, song, story and often hilarious audience interaction have made him a popular choice for parish missions, concerts, workshops and youth events. He’s been featured at major youth events nationally and internationally, including two World Youth Days, four National Catholic Youth Conferences and countless parish, school, camp and diocesan events. Steve has also worked extensively as a ropes course instructor and youth ministry trainer and has given workshops at both National Federation of Catholic Youth Ministers and National Catholic Youth Conference events. A parish musician, music director and youth minister for 11 years, Steve’s focus is, and has always been, one of honest ministry. There is an unmistakable awareness that Steve is not a performer. What he shares, both in story and song, is a witness of the love and life of Jesus. Steve lives in Highlands Ranch, Colorado, with his wife, Jenni, and three children. His debut album is a compilation of his songwriting abilities over the span of his career thus far. The song's rich lyrics clearly challenge the listener to go deeper and create an atmosphere of emotion while pushing the envelope of the music industry. His songs clearly encapsulate his roots as a young artist developing his sound. While he leaves his music open for interpretation, any listener can clearly identify the hidden meanings of spirituality present. 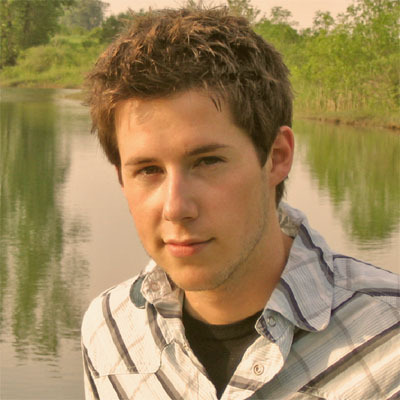 Growing up in a rural community, Chris had his start leading Worship in a local band. His talents began to blossom as he worked hard at songwriting and developing his guitar, piano and singing abilities. After high school, he began recording demos, which led to the making of his debut album. Presently Chris is the Life Teen Music Leader for Mary Immaculate Catholic Church in London, Ontario. Music has been a thread weaving through Andy Carey’s life since the age of 7. Classically trained in piano and voice at St. Michael’s Choir School in Toronto, Andy switched directions in high school toward the urban folk rock that defines his sound today. Andy’s latest CD Closing Circle is sonically on par with the best that Brit pop offers (Cold Play, Keane, James Blunt) and lyrically carries him into a space beyond. In the words of listeners, Closing Circle is “stunning”, brilliant” a “masterpiece”, “inspiring”, “uplifting”. After the last notes fade away on Closing Circle, one or more tunes or phrases will be stuck in your head, and if your eyes have not teared, your foot has not tapped, your lips have not moved, your heart has not been touched – rest assured your soul will have stirred – and the thread of music that weaved through Andy’s life will now have started to weave through yours – and as Andy sings on the first track of the CD - “don’t you worry why”. It seems like just yesterday Janelle sang for the late Pope John Paul II and close to 1 million people at World Youth Day in Toronto, 2002. The 25 year old was chosen from entrants across Canada to sing and record the World Youth Day 2002 theme song and perform with her band throughout the 6 day event in Toronto. Since then, she has toured Canada, the US and New Zealand bringing souls closer to Christ through her music and message. Janelle grew up in the small French town of Legal, Alberta. By the time she was 5 years old it was apparent that this sparkling, vibrant little girl had an extraordinary gift. From a very early age, her mother and grandmother taught her old French folk songs, after which came plenty of exposure singing in Church. By age 14, Janelle had become the lead singer with a contemporary Christian band, hosting evenings in Edmonton, Alberta that regularly attracted 300-600 youth. After singing with this group for 4 years, Janelle moved to New Zealand where she attended ICPE School of Evangelization. Upon her return to Canada, she joined the Life Vision Communications team, singing, recording and helping with administration. Soon after, Janelle married LVC’s director of operations, Jason Reinhart. The couple currently lives and works in Radway, Alberta with their son, Eric. Janelle and her current band, ONE80, have been touring throughout Canada and the United States extensively, growing in their art and their faith. They have a clear objective - to reach youth with a positive and Christ-centered message, offering hope to a hurting world. Janelle's first solo album, "New Day", produced in Nashville, Tennessee, was released at WYD2002. In 2005, Janelle released a new single "Be Not Afraid - Open Wide Your Heart" in honor of Pope John Paul II. The release of this song resulted in over 25 radio and television interviews, including an appearance on NBC Dateline following the passing of His Holiness, John Paul II. 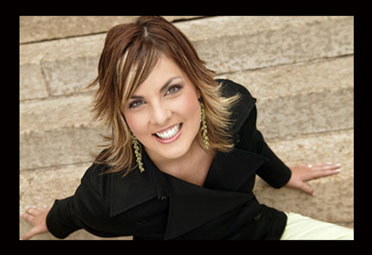 In 2005, Janelle had the privilege of opening for the popular Christian musician, Michael W. Smith at the Saskatchewan Centre of the Arts, and she was further blessed with the honor of singing for Queen Elizabeth II in Edmonton during the Royal visit to Canada. Itinerant witness, singer, songwriter, storyteller, advocate for the gospel values of peace, justice, and non-violence…Jesse is the co-founder of Two by Two Ministries, an international music and preaching outreach. With an MA in Multicultural Ministries from the Franciscan School of Theology, in Berkeley, California, and a lifetime of mentoring from the Franciscans, Dominicans, Society of the Precious Blood, Oblates of Mary Immaculate and a billion members of the laity, Jesse presents at jails, juvenile detention centers and an occasional nuclear test site. Jesse also visits nursing homes and retirement centers for the elders. Many will see Jesse present at national and international events, such as the LA Congress, the National Catholic Youth Conference, the European Catholic Youth Conference, Encuentro 2000, and various World Youth Day events, Diocesan events, and Parish Missions. In 2002, Jesse was commissioned to write the theme song for LA Congress. “Bearer of Hope” is a trilingual song in Spanish, English and Vietnamese. Jesse is a long time clinician for Oregon Catholic Press and is part of the spiritandsong.com community, a group of Catholic artists striving to live a life of service and evangelization within and especially beyond the Church doors. Jesse received the ARTIST OF THE YEAR Catholic Unity Award for 2003, as well as BEST RAP SONG. Jesse has been nominated for over twelve Catholic Unity Awards in the past three years and has been voted CATHOLIC ENTERTAINER OF THE YEAR, three years in a row by his mom. a Canadian artist of Jamaican-Chinese descent, has been doing music professionally for many years. She is the contemporary choir director for Holy Rosary Church in Toronto, and is a member of the Catholic Association of Musicians. She is also part of the OCP Project Daughters of God, a special music ministry for Catholic Women. Susan is married to Kyle Taylor and they have two children, Evan and Julia. Recently, Susan was nominated by the UCMVA (United Catholic Music and Video Association) in the Modern Rock/Alternative Song of the Year category for "I Will Praise and Follow You" track "Each Time I Say Jesus." Ana Da Costa Ana Da Costa is native to Mississauga, Ontario, and has been involved in various forms of ministry for a number of years. She is involved with Youth Ministry for Dufferin Peel Separate Catholic School Board, facilitating retreats for High School students, and working in co-operation with school chaplains for special liturgies and other events. Ana made her profession as a Third Order Franciscan in December 2002. Together they work at King-Bay Chaplaincy in Toronto, a ministry centered deep in the Financial District of Toronto. They are the writers of Song of the Cross, the official song for the World Youth Day Cross. Susan was also the English female lead singer for the World Youth Day Theme Song, and had the privilege of being cantor for the Papal Mass at World Youth Day 2002. In the spring of 2003 they released their new CD, I Will Praise and Follow You, a collection of their original Praise and Worship music, available at the Music section of the deepwatersound.ca website, or through Pauline Books and Media, Toronto. Critical Mass was formed in 1996 and was initially involved in music ministry locally. Things changed after they released a demo CD entitled "Faith Looks Up", which took off in both album sales as well as recognition from the Canadian Gospel Music Association and the UCMVA. 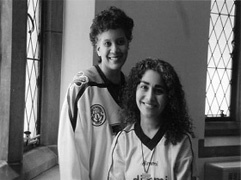 A second CD "Completely" garnered the Best Rock Album award from the Canadian Gospel Music Association in 2000 and paved the way for appearances at World Youth Day 2002, where the band played at several venues including the Papal Welcome and Papal Vigil in front of audiences of nearly 700,000. After several line-up changes, Critical Mass has refocused and has sharpened its lyrical and musical edge to create, in late 2004, the album "Grasping for Hope in the Darkness". The vision behind Critical Mass belongs to David Wang, who is also a father of 9, a university professor, a music columnist and founder of several companies. The Aradia Ensemble is a Toronto-based period instrument and vocal ensemble that breathes distinctive “new life” into music from the Baroque era. Established in 1996, Aradia has garnered recognition worldwide through the twenty CD’s that it has produced with Naxos Records. The ensemble has also toured internationally to regions in the United States, Italy and New Zealand. In recent years Aradia has forged an artistic partnership with Toronto’s Opera in Concert. Together they have performed “Semele” and “Rinaldo”, both by Georg Frederic Handel, as well as, Jean-Phillippe Rameau’s “Castor and Pollux”. The latter two were also recording projects. Other collaborations include performances with the Isadora Duncan Dancers, Baroque Dance, Opera Anonymous and the Evergreen Gamelan Ensemble. The ensemble adds to its credit two music videos and a film soundtrack. Under the Artistic Direction of Kevin Mallon, this season Aradia will perform Antonio Vivaldi’s “Sacred Music” as a Christmas concert, followed by Handel’s “Water Music and Fireworks” in January of the new year. “Israel in Egypt”, also by Handel, will highlight the spring of 2005. The Aradia Ensemble is now in the planning stages of a European tour, which is slated for 2006. MAGDA ANIOŁ debuted with the country group TAMERS during her secondary-school studies in the field of classical guitar music. She recorded a country album together with this group. While studying at the Slask University in Poland, Magda began her solo career. Thanks to the Flash radio station in the city of Katowice, Magda was discovered by country music manager Korneliusz Pacuda who invited her to take part in the 1994 Country Music Picnic in Mragowo. Thereafter, Magda performed annually at the event. The MAGDA ANIOŁ ensemble was formed and took first prize in Katowice at a contest titled "I want to be a star". Since 1995, Adam Szewczyk, a graduate of jazz and pop music in Katowice and a composer and lyricist, has been part of her band. Although he didn't have a country background, Adam earned a "Country Giants" prize in 1996 for best guitarist. It was Adam who changed the focus of Magda's music from American country hits over to Christian-oriented themes. In 1999, the first CD titled "What's That?" was released. 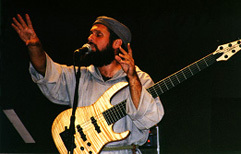 In 2000, ADAM SZEWCZYK & FRIENDS fused with the group MAGDA ANIOŁ to form one group. In January and February of 2001, the group recorded "When the Soul Sings". Adam Szewczyk authored all the lyrics for this CD. 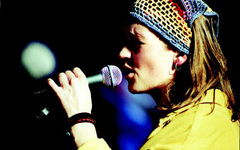 In 2002, Magda Anioł was part of the small group of Polish musicians invited to perform at various concerts organized as part of the World Youth Days in Toronto. She won the hearts of not just the local Polish community, but of many people from around the world. Over 25,000 people attended the Polish Day concert at which Magda Anioł performed. Her best received hit was titled "Trust in God Today" - a song that was played on of Poland’s radio and TV stations during the visit of Pope John Paul II to his homeland in 2002. The MAGDA ANIOŁ ensemble carries elements of pop, rock, folk, blues and country. The band members place the group in the stylistic centre. has been playing music since the 2nd grade when his father gave him his first instrument for Christmas - a red electric guitar! His love for music grew into early adulthood as he began the life long journey of learning the art of improvising by practicing countless hours and playing lots of sessions in the New York area. It was during that time that Fortuna began hearing his true calling in life and was eventually ordained a Catholic priest. He is one of the eight original members of the Community of Franciscan Friars of the Renewal, a community established in the Archdiocese of New York under the jurisdiction of John Cardinal O'Connor in 1987. Fr. Stan established Francesco Productions in 1987, a non-profit company which produces his music, teaching tapes and videos. From Contemporary Christian to Jazz, Folk, Reggae and Rap, this incredible musician and composer has produced music for the enjoyment of all ages and walks of life. He has released numerous CD’s of original music and standards, arranged in his very special style. All proceeds from sales go to the Community's hands-on work with the poor. Although Fr. Stan lives in the South Bronx where he serves the poor and needy families, he is internationally known for his music as well as for his powerful preaching. Fr. Stan travels extensively, performing his music and proclaiming the Gospel at conferences, retreats, and both national and international youth prayer festivals. He has been a featured speaker at Franciscan University’s High School Age Youth Conferences and Youth 2000 events for several years. He has also appeared numerous times on EWTN's Life on the Rock as well as the FOCUS Worldwide TV Network. In January 1999, Fr. Stan was asked to preach and perform at the youth rally in St. Louis during Pope John Paul's visit. He is now serving full time in the preaching apostolate using his gift of music, a powerful means to reach deep into the heart and soul of both the young and old throughout the world. Singer/songwriter and passport stamp collector, Jennifer Martin says she was born in Fort Worth Texas...but now considers many cities around the world home. Comfortable in Europe or stateside, with a band...or solo, Jennifer has a song to sing and a story to tell, no matter the city or circumstance. Sometimes "folky," other times "pop," and still other times, "alternative"... Martin's music is as diverse as her audiences around the world. 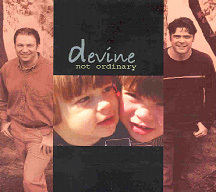 The Devine brothers were members of the award-winning Catholic rock group, Critical Mass. Matt and Tim Devine grew up in Kitchener, Ontario and have been writing, performing and recording music together for 15 years. With Critical Mass they released a CD entitled, Faith Looks Up in1997. This CD features the Eucharistic song, “Body And Blood” which is being used in many parishes. After the unanticipated success of Faith Looks Up, Critical Mass released their second CD, Completely, in October 2000 and the CD won “Rock Album of the Year” at the 2000 Canadian Gospel Music Association Covenant Awards. Critical Mass performed at many conferences and festivals over the next two years culminating with their performances at key events during World Youth Day 2002 in Toronto. Matt and Tim co-wrote the song, “Share it with the world” which was included on the official CD for World Youth Day 2002. After the reorganizing of Critical Mass, Matt and Tim released a new CD, entitled, Not Ordinary. Tim was ordained to the priesthood in November 2002 and is currently serving in a parish in Halifax, Nova Scotia. Matt is married, has one daughter and is currently a Catholic High school teacher. 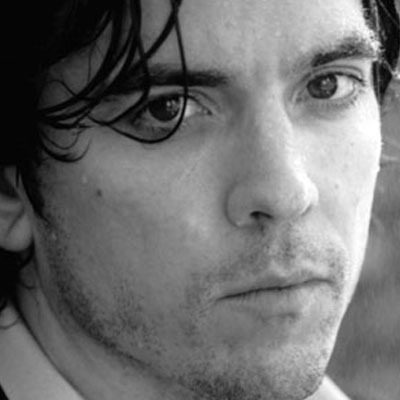 John is a composer of instrumental music in what would likely be considered the contemporary jazz/art music genre. 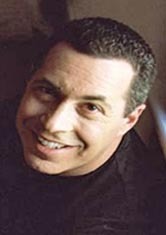 The pieces he composes explore the application of a variety of jazz and world music techniques to sacred themes with a heavy emphasis on improvisation. John hopes that those who hear what he does will experience the sublime mystery of sound and allow it to point to the wonderful beauty and mystery of our Lord Jesus. He also hopes that his music will edify and enrich the imaginations of those seeking to more deeply appreciate the Lord in a new way.